Another Nigerian schoolgirl from the kidnapped group known as the “Chibok girls” has escaped from her captivity by Islamist insurgency Boko Haram, a presidential spokesman said on Wednesday. 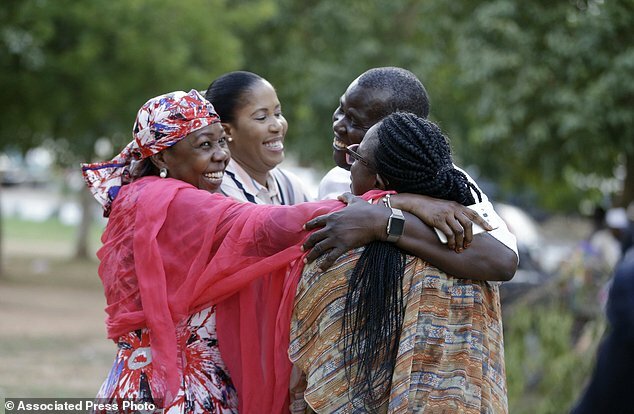 The escape makes her the latest to return of the roughly 270 girls kidnapped by Boko Haram in April 2014 from the northeastern town of Chibok. Earlier this month, the militants swapped 82 of the girls in exchange for prisoners. Vice President Yemi Osinbajo at a cabinet meeting in the capital Abuja on Wednesday “announced that another Chibok schoolgirl had been found after she escaped from her captors,” said the spokesman. “I learnt she is already being brought to Abuja,” he said, giving no further details. Of the 270 girls originally kidnapped, around 60 have escaped and more than 100 have been released. About 100 more are still believed to be in captivity. Boko Haram’s insurgency has killed more than 20,000 people and displaced more than two million since 2009 in an attempt to create an Islamic caliphate in northeastern Nigeria. Three years ago, the abduction of the girls from their secondary school by Boko Haram sparked global outrage and a celebrity-backed campaign #bringbackourgirls. For more than two years there was no sign of the girls. But the discovery of one of them with a baby last May raised hopes for their safety, with a further two girls found in later months and a group of 21 released by the Islamist militants in October. Although the Chibok girls are the most high-profile case, Boko Haram has kidnapped thousands of adults and children, many of whose cases are neglected, say aid organisations. The group often uses those captives, especially young girls and women, as suicide bombers. Nigeria’s presidential spokesman says another young woman believed to be one of the kidnapped Chibok schoolgirls has been rescued. Femi Adesina said Wednesday that the girl was found less than two weeks after 82 others were released by their abductors in exchange for five Boko Haram commanders. She is being brought to the capital of Abuja, where the other young women are undergoing counseling and rehabilitation. Government officials in Borno state, where the girls were abducted, could not immediately corroborate the claims of the Nigeria presidency. If the girl is confirmed to have been among those kidnapped, 112 still would be missing. Jihadists from the group aligned with the Islamic State group abducted the girls from their school dormitory and held most of them captive for more than three years.